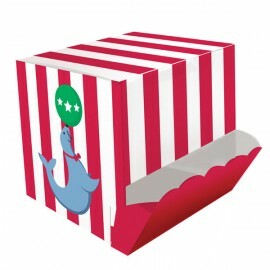 Circus Time Candy Dispensing Treat Boxes 8cm x 8cm Cardboard ( Requires some Assembly) Supplied Flat Pack of 4.. 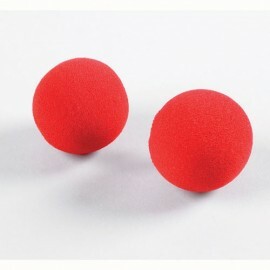 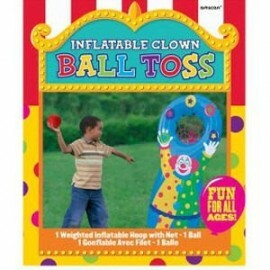 Circus Time Clown Noses Red Favors Foam Pack of 4..
Game 3 In a Row Includes 1 inflatable board and 6 balls Each..
Game Bean Bag Toss Includes 4 bean bags, board and stand. 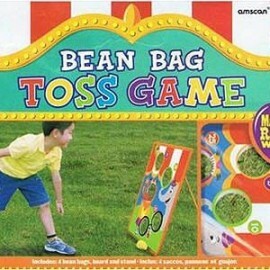 Made of real wood. 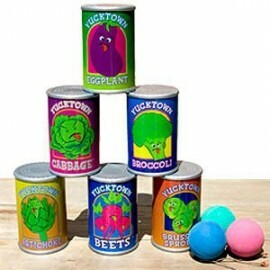 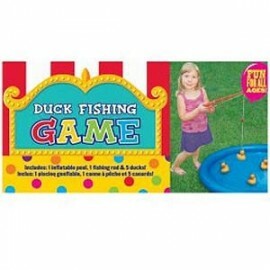 Each..
Game Can Toss Contains 6 Cans and 3 Balls Each..
Game Duck Fishing Contains 1 Inflatable Pool, 1 Fishing Rod and 5 Ducks. 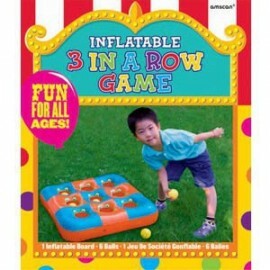 Each..
Game Inflatable Ball Toss Contains 1 Weighted Inflatable Hoop with Net and 1 Ball Each..